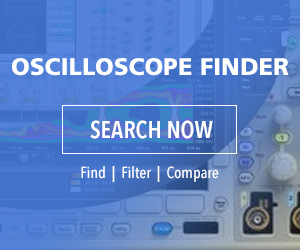 Billed as the industry’s first 32-Gb/sec protocol-aware bit error rate test and analysis system, the new Tektronix BSX series BERTScope helps characterize the receiver in Gen3 and Gen4 devices and shortens the time needed to debug link training and bit-error-rate issues. As 4th generation serial protocols such as PCIe 4.0, USB3.1, and SAS4 become more complex, it has become increasingly difficult to place a receiver being tested into an appropriate state (such as a loopback state) for testing without protocol handshaking between the instrument and the device under test. With its protocol-aware functions, the BSX Series helps visualize and control the handshaking and link training process for devices running up to 32 Gb/sec. Available with maximum data rates of 12.5Gb/sec, 24Gb/sec and 32Gb/sec, the BSX Series is available with tools that automate compliance testing, making accurate and repeatable measurements easy to do for the numerous test cases required in Gen4 standards. With built-in Tx equalization, reference clock multiplication, and interference generation, the BSX Series requires fewer cables and is significantly easier to set up and calibrate than previous offerings. The BSX Series is said to be the only receiver test tool that continuously stores the context (timing, bit position) of each bit error. Sophisticated error analysis tools such as pattern sensitivity and forward error correction emulation use this information to help developers understand the factors contributing to bit errors.